My husband recently asked why I love Twitter so much (it’s true, I really love Twitter). The answer is simple – it makes me laugh. Sure, there’s a serious side to Twitter, as for any type of social media, but I enjoy Twitter purely for the one-hundred-and-forty-character laughs that are dished up throughout the day. And no one makes me laugh as much as Honest Toddler. According to Honest Toddler, love is the willingness to fix someone a small snack while making dinner, pants are for suckers and don’t even mention the word ‘quinoa’. Not familiar with Honest Toddler? She is basically a computer-savvy two-year-old giving parents the inside word on how to deal with their toddler. Status: Not potty-trained, not trying. 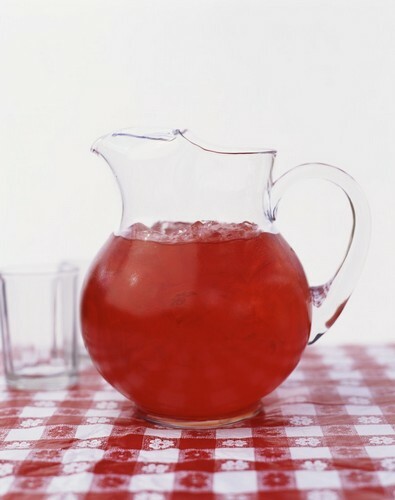 Likes: Cake, running, shows, games and red drink. 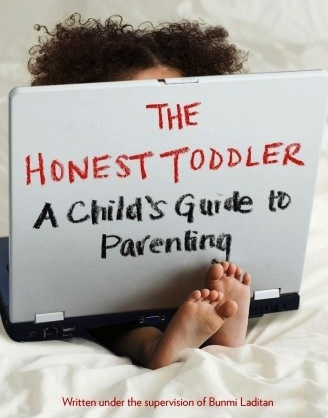 Honest Toddler (supervised by Bunmi Laditan) has just released a book, The Honest Toddler: A Child’s Guide to Parenting. It’s packed with all sorts of helpful advice from why ‘listening ears, gentle hands and inside voices’ kill a child’s spirit and toddler-approved recipes (covering the five food groups – red, white, juice, cheese and chocolate) through to sleep (and weaning yourself off it) and car etiquette. The book is hilarious, so much so that I had to read it in small doses, allowing recovery time between chapters. However, I do have a few favourite bits. In my line of work (reviewing fabulous designer pieces for children), how could I not love a chapter entitled “Breakdown of Popular Toddler Trends, from Amber Necklaces to Jeggings, and Why You Should Avoid Them”?! Honest Toddler spills the beans on amber necklaces and jeggings as well as leashes, Crocs, ‘weird strollers’, toddler perfume, discipline and more. Wait. Is discipline a ‘trend? Yes, according to Honest Toddler. The book strikes the perfect balance between a child’s take on the adult world (“Why are grown-ups scared of Mondays and carbohydrates?”) and thoroughly grown-up humour. Find The Honest Toddler: A Child’s Guide to Parenting online at Book Depository, which delivers free of charge to Australia. It’s suitable for all parents in need of a laugh.